Congratulations! Your wait is over and your newborn is finally here. Nothing can surpass the joy of newly attained parenthood. Once the initial surprise and elation turns into an everyday routine, taking care of a newborn can become monotonous. In the initial months, your newborn gets attached to you the most. 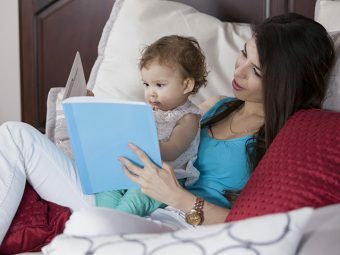 The way you connect with your baby in these months plays a crucial role in your baby’s language formation, social intelligence, logical thinking, emotional connect and overall development. There are various activities for newborn babies that you can get involved in and enjoy the joys of motherhood. Plan an outing with your baby. 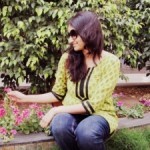 It need not be a far flung place but a nearby park or any natural surroundings. Let your baby enjoy the lush greenery and feel the fresh air. 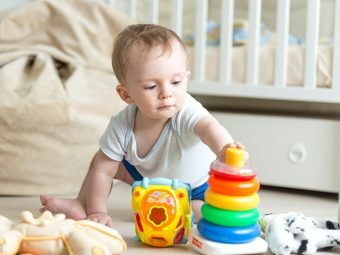 Even though your baby may be too small to play, he may really enjoy seeing the colorful environment and other children playing. It will also be a good change for you and your baby from everyday routine. All babies have an affinity towards music. Melodies have a soothing effect on babies and can boost their memory as well as mental skills. Play different genres of music when your darling is awake and see which music relaxes him and which annoys him. Some music might charge him up while some will make him sleep. It is essential to be present along with your baby while the music is playing. Your touch and voice may accentuate the benefits. Sing along and encourage your baby to do so too! Besides making your baby happy, music will also help calm you. Each moment with your baby is unique and shall never come back, so make sure you capture them. Record your baby’s special moments through pictures or videos. Use different accessories and props to make it entertaining for your infant. Make him or her wear special clothes, try a different hair style. Your baby will thoroughly enjoy the attention. Share these with your spouse and near and dear ones. It will be amazing to watch these together when your baby grows up. It is a wonderful game to play with your munchkin. When your baby is awake and playful, hold him close and try to talk with animated gestures and expressions. Vary the pitch of your voice. You will be amazed to see how your baby reacts to your actions. This will help your baby learn and recognize emotions and increase the attention span of your baby. This activity can help your infant in early language identification and is a great way to strengthen your bond. Play hide and seek with your newborn but not in the regular way. Hide your face behind your hands or a cloth. Call his name or whistle or make any different kind of noise. Your infant will recognize your voice and try to find out where it is coming from. 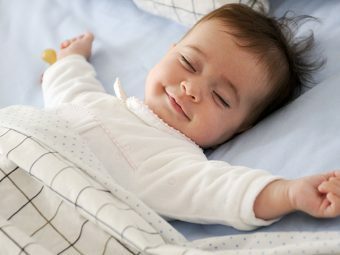 This activity can increase the alertness in your baby. When your baby finds you, pick him up and shower him with your love. This will create a happy emotional bonding. As a word of caution, don’t be too far from your baby. Always be at a distance from where you can pick him up if he is about to fall or get hurt. Introduce your baby to toys and colorful things. Hang different colorful toys just above your baby’s bed or cradle. Help your baby to reach out to these toys with their hands or toes and show them how interesting it is. Your baby will soon learn the coordination of hands, eyes and toes and learn to play on his own. Let your baby feel everything. Don’t hasten any activity you do with your baby. 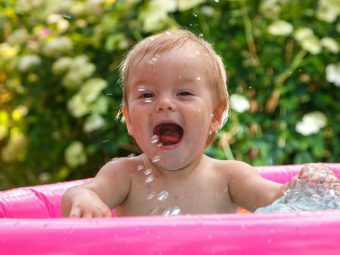 If you are bathing your infant, let him or her splash water and play with it. If you are feeding, then let him or her feel the bottle. This gives your baby an understanding of various senses. Just like you, your baby also hates routine and needs new things to be entertained. 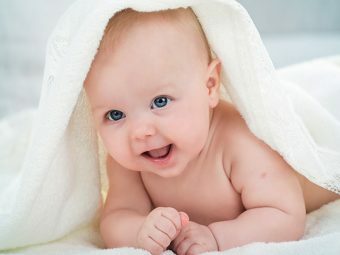 Remember these activities of newborn baby will be the base. Take your baby around the house and show things that are non-hazardous and safe. Let your darling stare and feel the objects. It is a wonderful feeling for your baby and also a way to increase his or her memory power. Of course your little one cannot understand your story but read, nonetheless. Read or tell a story by enacting the same with gestures. Touch your baby’s toes, fingers, tickle his belly and see his expressions. You can use this activity when you are clothing your baby. It is a good way to divert attention too! Sure your baby can’t dance but you can definitely sway him to the tunes of music. Take your baby in your arms and try some simple steps. Such moves are not less than any roller coaster ride for your little one. Be careful with your baby’s neck and always keep a hand there. This activity can definitely rejuvenate you and your little one. When you engage into activities with your new born baby or babies, it will help him or her learn things faster while enjoying it more. In case your baby does not respond well to most of the above, or cries a lot, make sure you discuss this with baby’s doctor in the next visit. We hope you liked our ideas for newborn baby activities month by month. Don’t forget to make every moment with your baby special. Do share with us how you enjoyed those initial months with your baby.